After years of discussions, a new listing regime for companies from emerging and innovative sectors has been launched in Hong Kong in April this year. The dual-class shareholding structure is certainly an advantage for the Hong Kong Stock Exchange to become a more attractive jurisdiction for listings, but what does it mean to investors? This article examines the existing investor protection under the new listing regime. 30 April 2018 marked the start of a new era in Hong Kong’s listing regime as the Stock Exchange of Hong Kong (the “Exchange”) announced that it would (i) companies with dual-class shareholding structures, (ii) biotech firms that have yet to meet the financial eligibility of the Main Board, and (iii) issuers seeking a secondary listing in Hong Kong to trade publicly in Hong Kong’s capital markets. 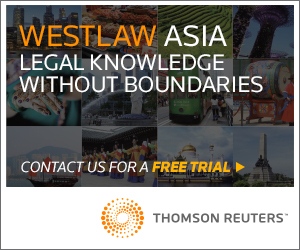 Hong Kong has always placed heavy emphasis on the fair and equal treatment of shareholders when considering the suitability of new listing applicants. Shareholders could not have greater voting power than another if both have the same amount of equity interest in a company, this is known as the “one-share, one-vote” principle. The introduction of weighted voting right structures or “WVR structures” reflects a relaxed grip on the “one-share, one-vote” principle, which indicates that if shareholders had the same amount of equity interest in a company they would have equal voting power. This brings into question whether appropriate investor safeguards are in place in Hong Kong. There are three main methods by which minority shareholders can bring a private action regarding listed companies in Hong Kong: unfair prejudice backed by Part 14, Division 2 of the Companies Ordinance Cap. 622, statutory injunction backed by Part 14, Division 3 of the Cap. 622 and derivative action backed by Part 14, Division 4 of Cap. 622. 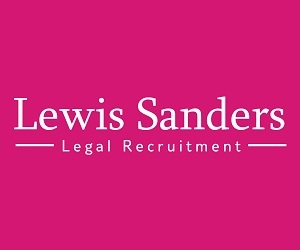 Under the unfair prejudice remedy, a member of a company can petition the court for reliefs if the affairs of the company are being or have been conducted in a manner unfairly prejudicial to the interests of all or some of the members. For statutory injunction, a member of a company whose interests have been affected by the conduct of a responsible person in the company who has constituted a breach of Cap. 622 or a breach of his fiduciary duties, may apply to the court for an injunction order or an order for the person to pay damages or declare any contract void or voidable. In a derivative action, a member of a company can, with the leave of the court, bring or intervene in an action on behalf of the company against a wrongdoer (usually a director of the company) provided that (i) the proceedings appear to be prima facie in the interests of the company; (ii) there is a serious issue to be tried and the company has not itself brought proceedings; and (iii) the member has served a 14-day notice on the company setting out the member’s intention to apply for the leave of the court and the reasons for that intention. Despite the statutory backing, less than a handful of listed companies to date actually brought the action to court. These remedial actions require considerable time, cost and effort to complete and so they are generally available only to wealthy shareholders. Listed companies or their controlling shareholders or directors would normally have far greater resources to defend any legal action taken by minority shareholders. In addition, in a derivative action, damages awarded by the court are attributable to the listed company, not the minority shareholders bringing the action because it is the listed company which suffered the genuine loss. It is worth noting that directors owe fiduciary duties to the listed company, and a company has contractual obligations to its shareholders pursuant to the company’s articles of association. However, there is no direct contractual relationship between the directors and shareholders. If the directors’ wrongdoing has caused damages to the company, it is for the company, not the shareholders, to take action against the directors. As the directors have control of the company, they obviously may not be willing to take action. Similarly, assuming that the value of the shares of the minority shareholders decreases due to an act of the directors, the minority shareholders would not be able to claim compensation against the company for diminution of value of their shares, because the company has suffered a genuine loss by diminishing the total value of its assets. In the same realm, companies listed on the Main Board of the Exchange are subject to the Listing Rules, which sets out that the principal function of the Exchange is to provide a fair, orderly, and efficient market for the trading of securities. However, the Listing Rules are not laws. They simply determine contractual relationships between listed companies and their directors, and the Exchange. In other words, minority shareholders cannot take actions against the wrongdoers pursuant to the Listing Rules. Whilst listed company shareholders may have remedies provided to them under certain provisions of the Securities and Futures Ordinance (“SFO”) Cap. 571, most notably sections 212 to 214, there have been no changes to the legislation since it came into effect in 2003. 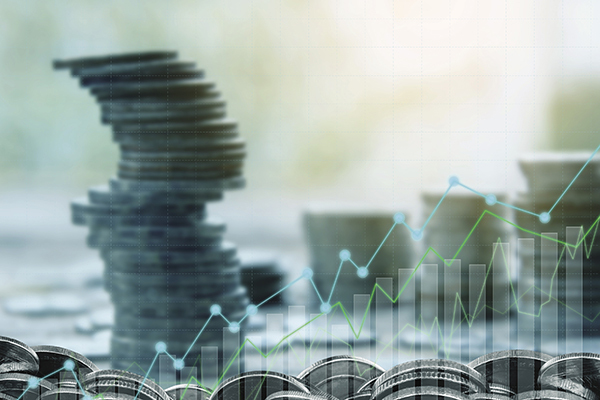 Though the current law under the SFO is arguably sufficient as it stands, shareholders who wish to bring a claim would have to do so through the Securities and Futures Commission (“SFC”). The problem with the current law is that the processing time between bringing a complaint to the SFC and the case actually going to court could be extensive. A recent example is illustrated by the case when the SFC commenced proceedings in the Market Misconduct Tribunal on 28 June 2018, against China Forestry’s former chairman and CEO for suspected disclosure of false or misleading information and suspected insider dealing. This was in relation to the information included in their prospectus issued in November 2009 and their 2009 Annual Report. It is clear to see, that initiating proceedings through the SFC cannot be seen as an efficient or effective way of protecting shareholders, and to this extent, they should be given the option to start proceedings themselves. In view of the above, one can see that in Hong Kong, greater reliance is placed on the Listing Rules to prevent the abuse of control that takes place (e.g., protecting the non-WVR shareholders’ rights to vote under Rule 8A.24 of the Listing Rules), and that after-listing legal action is to be taken by the SFC on shareholders’ behalf. The SFC, and to a greater extent the Exchange, judge on behalf of the investors what is acceptable or unacceptable for the investors and the market. This may be explained by the fact that many listed companies in Hong Kong start off as family-owned corporations where minority shareholders are seemingly at a disadvantaged position in dealing with the controlling shareholders (usually the core family members). In addition to this, there is no class action in Hong Kong. The regulators therefore tend to be more protective of minority shareholders by using the historic regulatory model. However, as the regulators are now embracing enterprises from the emerging new economy, should they consider moving away from this model to keep up with the fast pace of the ever-changing world? The only procedure available in Hong Kong for dealing with multi-party proceedings is under the Rules of the High Court Order 15, rule 12, where if numerous persons have the same interest in any proceedings, one or more of them can represent all the persons. According to the English case of Markt & Co Ltd v Knight Steamship Co Ltd  2 KB 1021 (CA), the UK Court interpreted “same interest” to mean that all class members have to show identical issues of fact and law. In essence, this means that all plaintiff class members and the defendant must have the same contract, plead the same defence and claim the same relief. In its Final Report in March 2004, the Chief Justice’s Working Party on Civil Justice Reform summarised the flaws of the current provisions as being limited and “inadequate as a framework for dealing with large-scale multi-party situations”. 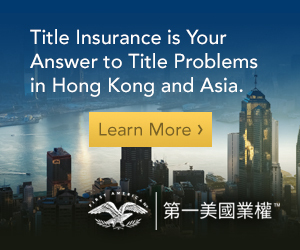 Looking outside of Hong Kong to the United States, private plaintiffs can initiate a class action lawsuit for violation of federal securities laws as a form of shareholder litigation. A “class action” is when a representative plaintiff and a group of others (the “class”) who have a claim in respect of the same, or similar, wrong can sue against the same defendant in a single court action. The advantage of such an approach is that it gives individual investors protection against any wrongs that may occur in a company, even those with a WVR structure. 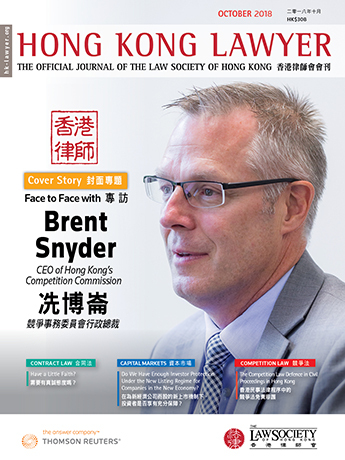 Hong Kong does not have a class action mechanism, but it seems that the Law Commission of Hong Kong recognised its potential advantages and published a report in May 2012 seeking opinions on introducing such a regime. The report proposed that the class regime in Hong Kong should start with consumer cases,which would bring with it potentially the largest pool of people suited for class actions. This would allow the judicial system to acclimatise to this type of procedure and once enough experience has been accumulated, class actions can start phasing out to beyond the Consumer Council. The Law Commission also considered “securities cases”, among others such as personal injury and shareholder claims, to be suitable for class action proceedings. The proposed class action regime would adopt an “opt-out” approach as the default position for class members, meaning that those who are defined by the court to be members of the same class would automatically be bound by the class action unless they have opted out within the prescribed time limit. There are clear benefits to implementing the class action regime in Hong Kong, and the Law Commission identified a few in its report. At the heart of it is an improved access to justice. The considerable cost of litigation and the restricted availability of legal aid in civil cases discourage single plaintiffs from seeking redress through litigation, especially when the claims are small in amount. The aggregate claims of the plaintiff class however, would be substantial enough to justify bringing a claim to court. A class action would also narrow down the disparities between the parties, especially when a plaintiff is a single litigant or consumer claiming against a governmental body or a wealthy multinational corporation. With the reduced cost, time, and effort involved, more plaintiffs would view it economically feasible to bring a class action against a company, thereby effectively enhancing investor protection. Lastly the SFC admits that the concept of share ownership engagement is very important for the local financial market. Whilst the primary responsibility for a company’s success rests with the company’s board, shareholders also play a significant role to ensure that the board is accountable for fulfilment of its responsibilities. In its Consultation Paper on the Principles of Responsible Ownership released in March 2015, the SFC believes that shareholders are expected to take action if they consider that directors are not acting in the interests of the company or their interests. The law therefore provides all shareholders with voting rights and other rights to enable them to engage with directors and to monitor the progress of their investment in the company. One year later in March 2016, the SFC published its consultation conclusion, which confirms that shareholders have rights which can be used to protect themselves. The SFC believes that strong corporate governance requires listed companies and their directors to be proactive, as well as shareholders to be both reactive and proactive. Without shareholders’ involvement, the efforts of listed companies and their directors cannot be measured. The consultation conclusion has identified seven Principles of Responsible Ownership that investors should adopt. It is worth noting that the SFC considers there may be additional or alternative principles which may be relevant, and one of them may relate to introduction of class action rights and the legalisation of champerty and maintenance and contingent legal fees (see pages 16 to 17 of the consultation conclusion). It is important that proper legislation is enacted to progress alongside the constantly evolving developments in our society. The Companies Ordinance Cap. 622 and the Securities and Futures Ordinance Cap. 571 need to be amended, especially at a time like now when investors and their protection under the law are more vulnerable due to the introduction of the new listing regime. Incorporating class actions in the legislation may not be the only solution, but it is a start.